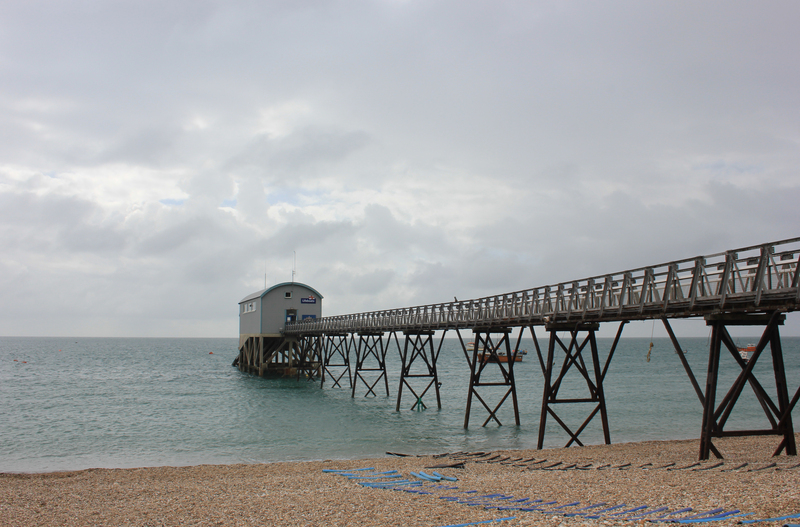 It was a little overcast and gloomy when we arrived back at Selsey to continue our walk. 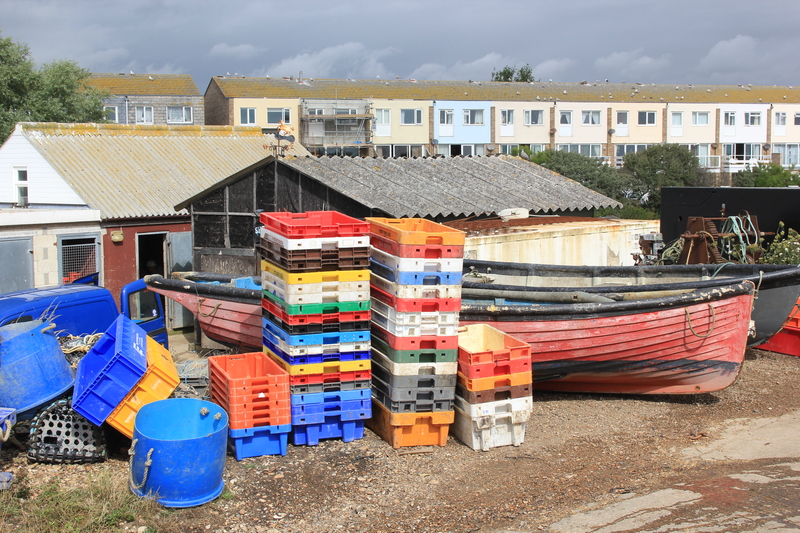 The boats along the shore bobbed up and down unhappily, waiting for the sun that was promised. The working beach tried to provide a bit of colour to brighten up the day. Our first stop of the day was at Selsey Lifeboat Station. It sits out at sea, at the end of a long pier. Lifeboats are used to a bit of unforseen action, but a mere 9 days after we walked along this jetty both lifeboats there were launched not to rescue a stricken vessel, but for their own safety: an unexploded bomb from World War Two was discovered by a scuba diver! Both lifeboats were evacuated before the bomb was carefully excavated and worked free of its resting place. 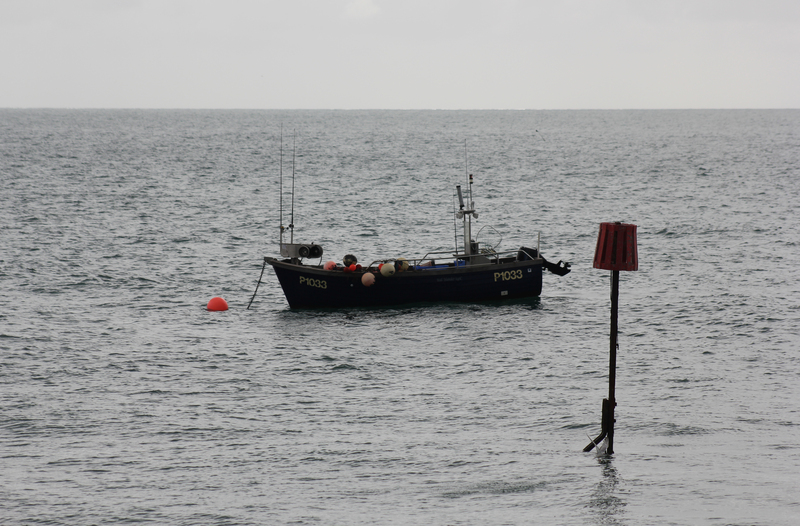 Supported by an inflatable bag, it was towed to a position approximately 1.5 nautical miles east-south-east of Selsey Bill. Both lifeboats accompanied it and maintained a cordon around the bomb, which although inactive, was finally laid to rest by a controlled explosion. We wandered up the jetty, unaware that we were on top of an unexploded bomb. 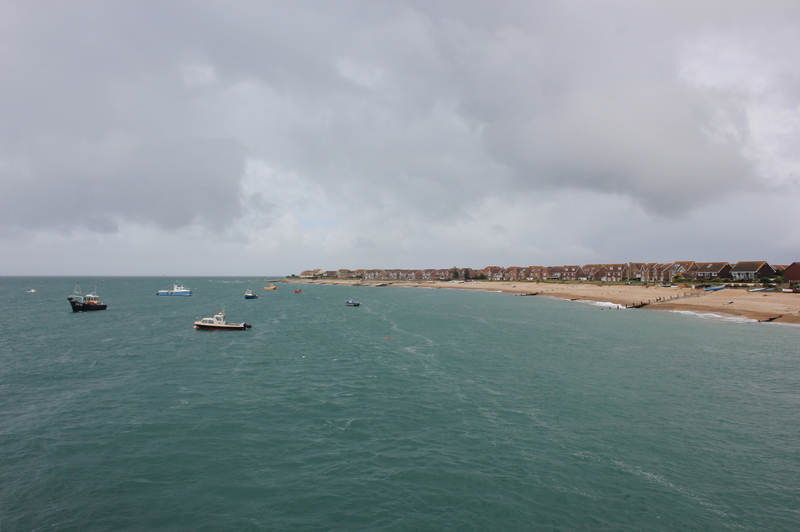 From our vantage point we looked along the coast to Selsey Bill, the headland which juts out into the Channel. Around 165,000 years ago, as the ice caps of the last Ice Age melted and the glaciers retreated, Selsey Bill was populated by straight-tusked elephants, narrow-nosed rhinoceroses, lions, wolves and bears. As we wandered down to Selsey Bill we wondered if we would be lucky enough to see any wild animals from bygone eras for ourselves. 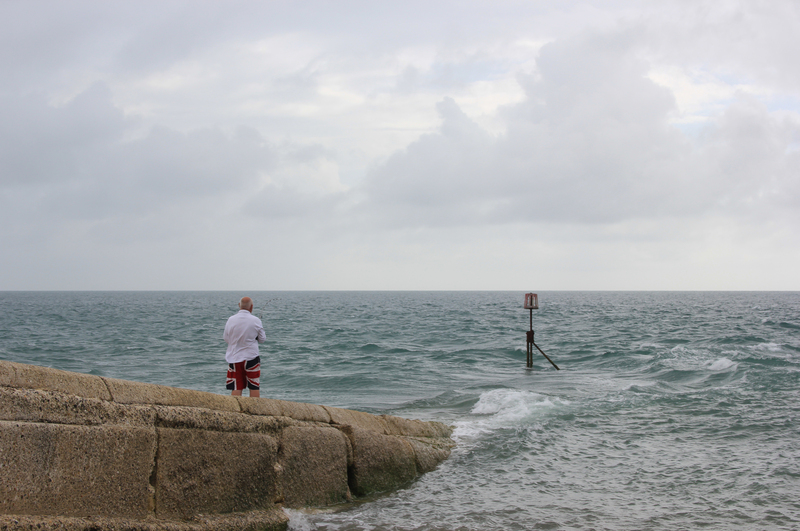 We weren’t expecting much, but were pleasantly surprised – was this Selsey Bill himself? This entry was posted in West Sussex and tagged bomb, coast, lifeboat, selsey, travel, unexploded bomb, walking, west sussex. Bookmark the permalink. I guess walking around the coast of Britain can be potentially dangerous to your health!